Through the Looking Glass - Together, We Make Memories! 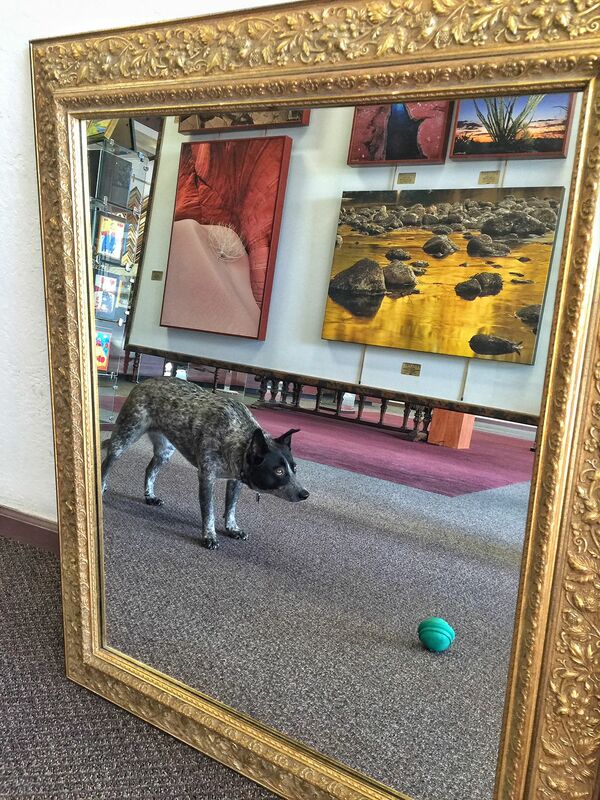 One of Esprit Decor's greeters, Rosie, poses in front of one of many beautiful custom mirrors in our gallery. Choose from thousands of moulding samples to create a unique custom mirror for your home.